SQL Live Project,SQL Real Time Training,100% Job Oriented Training,SQL Training in HSR Layout,SQL Training Institutes in Bangalore,Oracle SQL Training Institutes in Bangalore,Oracle SQL Training in HSR Layout,SQL Training in Koramangala,SQL Training in BTM Layout,SQL Online Training in Bangalore,SQL Certification Courses in Bangalore,SQL Classes in Bangalore,SQL Training in Electronic City,SQL Training in Marathahalli,Oracle PL SQL Training in Bangalore,SQL Training in JP Nagar,SQL Online Training from India. Akshara Software Technologies is providing the best sql training in HSR layout, BTM Layout, and koramangala with most experienced professionals. Our trainer working in SQL and related technologies for more 11 years in MNC’s. 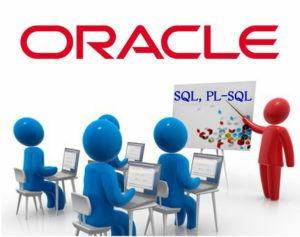 We are offering SQL Classes in Bangalore in more practical way. We are offering SQL Classroom training in HSR Layout,Bangalore, SQL Online Training and SQL Corporate Training in Bangalore. We framed our syllabus to match with the real world requirements for both beginner level to advanced level. SQL Classes in HSR Layout conducting in week day ,week end both morning and evening batches based on participant’s requirement. PL/SQL Basics, Variables, Constants, data types.